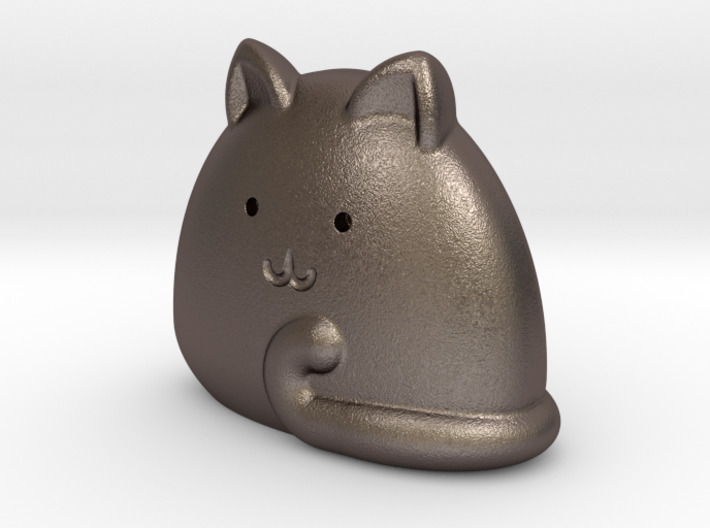 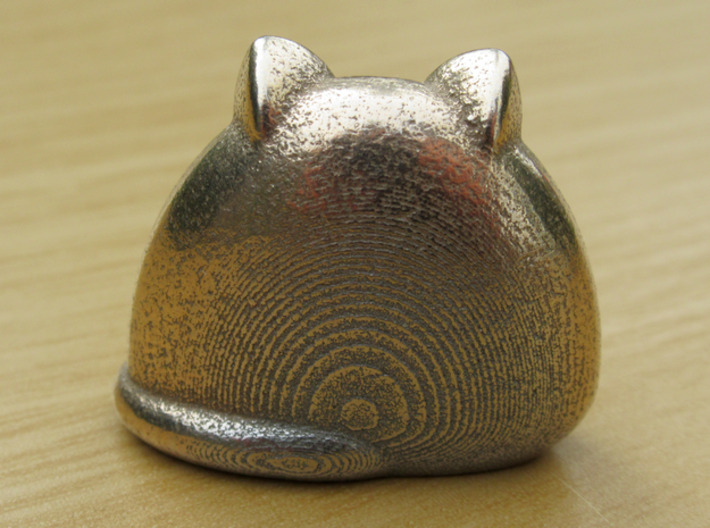 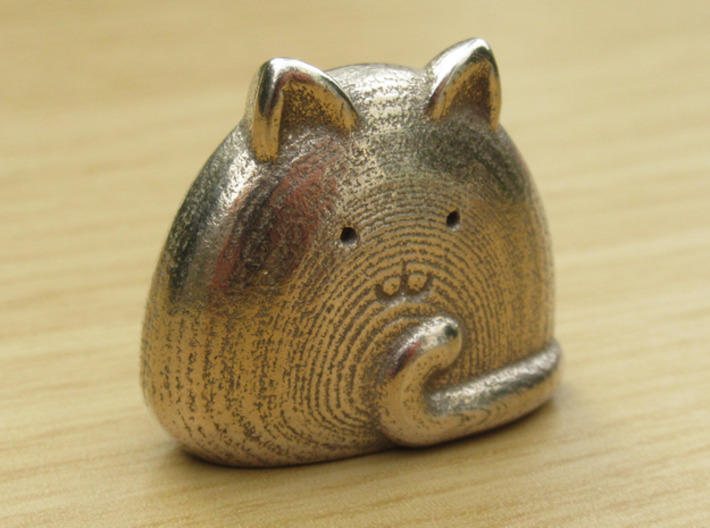 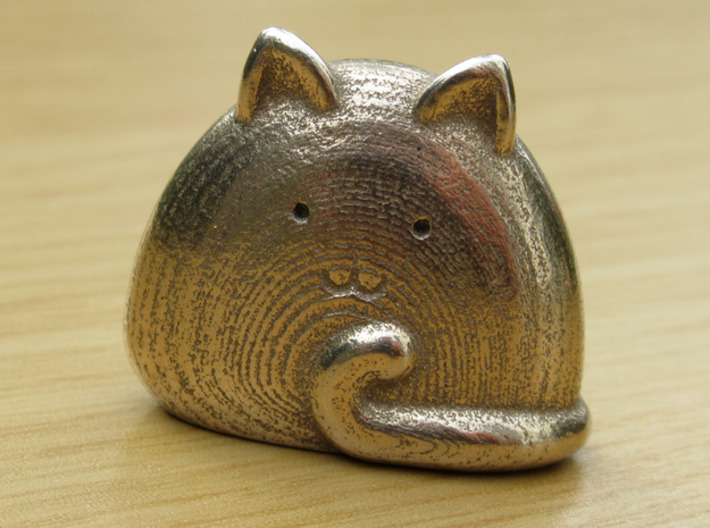 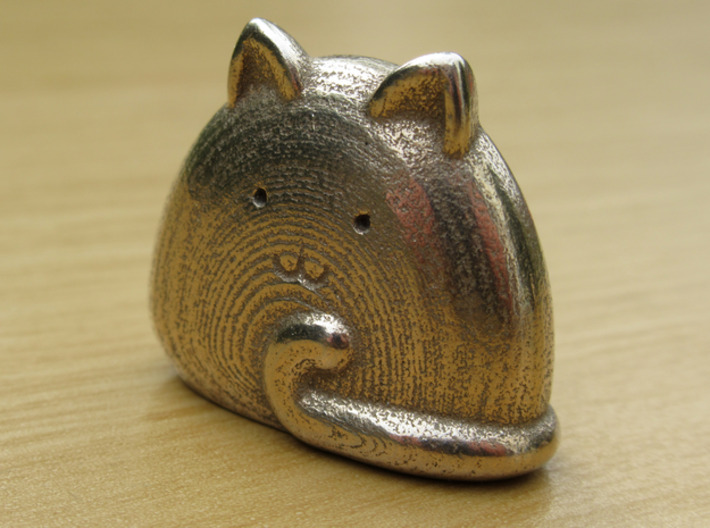 This curvy little cat is the ideal size and shape to carry in a pocket for idle moments. 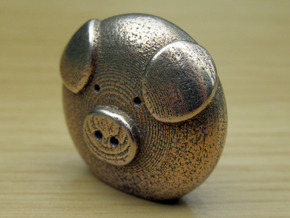 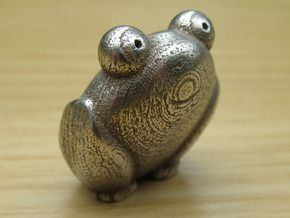 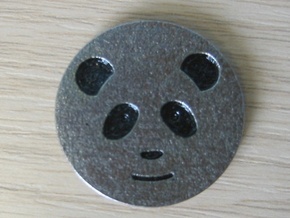 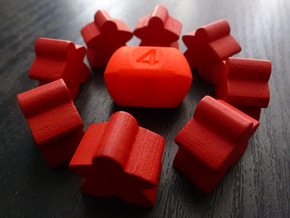 Generally round and smooth, not too heavy; very short front-to-back, in a sort of oblate capsule style. It will also stand up on a flat surface.